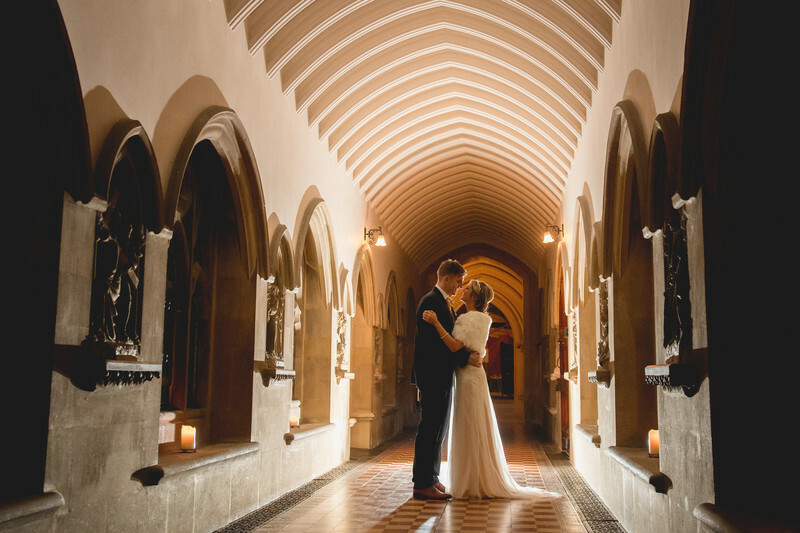 Nicola and Alex held their wonderful winter wedding in Worcestershire's Stanbrook Abbey. 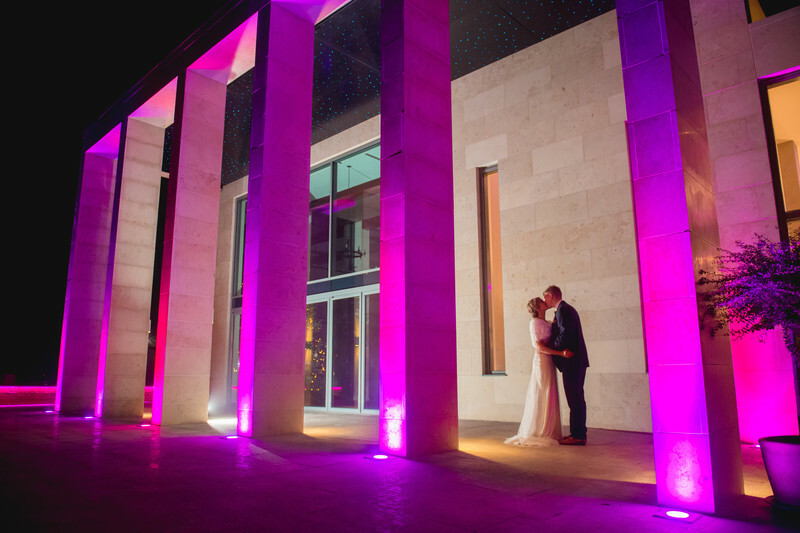 Nicola and Alex's Stanbrook Abbey wedding was in late December, right before Christmas. This meant that the majority of their wedding photos were taken after dark. One of the things I really enjoy at weddings is getting creative with off-camera flash which creates stunning results. Using off camera flash for wedding photography adds a further dimension that you can't attain using natural light alone. Many wedding photographers will describe themselves as 'natural-light-only' photographers - without knowing how to use flash like this, you'd get very few wedding photos so late in the year! For the main image which you see at the top of this article, the bride, groom and myself had gone for an after-dark walk around the venue in order to capture some stunning photo, and we walked down one of the corridors between the newly opened George's Bar and St Anne's Hall, one of the oldest parts of the building. Between the two is an original corridor, with a beautiful tiled floor and a set of lights I can never find the switch for. Because of this, when we arrived it was pitch black! We used the light on my phone to locate where the battery powered candles were and switched them on in order to add a little ambiance to the photo. Once this had been done, there was just enough light there for us to see what we were doing! I stood the bride and groom where I wanted them for the photo, and placed an off-camera flash behind them, pointing back towards the camera. I love how this directional light picks out all of the details in the ornate ceiling, as well as lighting the couple and really showing off some of the details in Nicola's dress.